Halloween is over, and all the highly anticipated costumes have been revealed. While we enjoyed another year of NHL players stealing the show, the origins of a costume are an important part that is not always immediately clear. For Toronto Maple Leafs forward Nazem Kadri, his “Freddy” goalie mask had a bit of a history to it (even though it was a Jason mask, his nod to Leafs goalie Freddy Andersen in the caption made it alright). 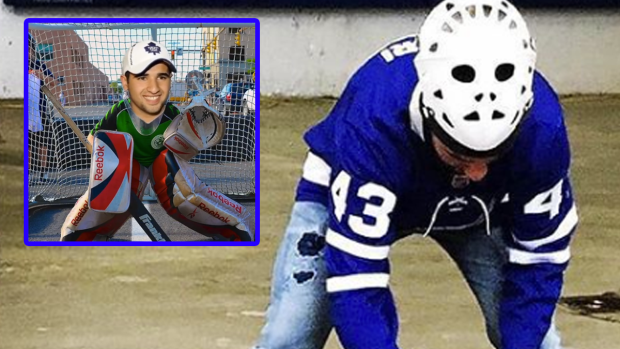 Turns out, Kadri has a bit of a history between the pipes. And when we say pipes, we’re talking about the plastic variety. Kadri caught up with the media to explain he was quite the ‘tendy back in he day. At one point in time, @43kadri was a goalie and apparently a pretty good one. Watch out, Freddy. You aren’t the only gifted goaltender to suit up in the Leafs’ blue and white.